It’s such a pleasure to welcome crime writer Camilla Grebe to CBTB today to discuss her brand-new mystery, AFTER SHE’S GONE, which went on sale earlier this week! AFTER SHE’S GONE is a smart, timely piece of Scandinavian crime fiction - a story both entertaining and thought-provoking. Readers will be engrossed in Camilla Grebe’s chilling new slice of Nordic Noir. I was thrilled to have the chance to ask Camilla a few of my most pressing questions about AFTER SHE’S GONE, and am equally excited to share our conversation with CBTB readers today! In today’s blog post, you can find plot details on Camilla’s newest release, and a behind-the-scenes peek into this compelling crime read. Helene Tursten, best known for her Irene Huss crime fiction series, returns this week with HUNTING GAME—an atmospheric detective novel that launches her brand-new series featuring Detective Inspector Embla Nyström. And what a fantastic series launch it is. HUNTING GAME is in many ways a classic detective novel; its moody atmosphere, measured pacing, and down-to-earth plotting will make it a perfect fit for readers of traditional procedurals. However, thanks to its stellar protagonist, HUNTING GAME feels decidedly modern as well. At the heart of this superb mystery is Embla Nyström, a young woman working for the mobile unit of the police department in Gothenburg, Sweden. Fiercely independent and as physically tough as she is mentally strong, Embla is an inspiring character—but, even better, she’s relatable, too. She’s the kind of down-to-earth, realistic protagonist that readers will wish they could get to know in real life. In a genre where “damaged detectives” with all manner of bad habits and outlandish behavior can seem a dime a dozen, Embla’s realism and relatability set her apart. From its intriguing cast of characters to its immersive atmosphere and delightfully classic crime-inspired plotting, HUNTING GAME is an excellent read from first to last, and the start of a series I will look forward to following. No one writes crime fiction quite like Yrsa Sigurdardottir. Dark and gritty, layered and complex, Yrsa’s exceptional crime novels are must-reads for any fan of the Nordic Noir genre - or any reader who just wants a great procedural to sink their teeth into. In 2018, Yrsa launched her new series (the Children’s House series) in the U.S. with The Legacy - and this week, she’s back with book two, THE RECKONING - and it’s every bit as good as its predecessor. The Children’s House series is quickly becoming one of my personal favorites; these books are unflinching in their examination of the lasting legacy of childhood trauma, exploring difficult themes with sensitivity and thoughtfulness. And beyond that, they’re just fantastic crime reading, filled with all the atmosphere and intrigue of the best mysteries. I’m thrilled to welcome Yrsa to Crime by the Book today to give us the inside scoop on her newest release, THE RECKONING! In this Q&A, Yrsa touches on everything from her series’ two protagonists to her writing process to how dangerous Iceland really is. Read on for more details on THE RECKONING, and for my Q&A with Yrsa! How is this the first time I’ve read a book by Elly Griffiths? There’s no other way to say it: I’ve been missing out. Griffiths’ exceptional standalone THE STRANGER DIARIES is a spring 2019 must-read. Layered and immersive, atmospheric and authentic, this brilliant twist on Gothic suspense will captivate the reader. Following Clare Cassidy, a teacher who specializes in Gothic literature, THE STRANGER DIARIES takes readers into a bookish mystery with sinister undertones. When one of Clare’s closest colleagues is found murdered, Clare is grief-stricken—but things take an ominous turn when a clue is discovered on the corpse that tie the gruesome crime to the work of a Gothic writer who happens to be one of Clare’s favorites. Could life be imitating art? As Clare ventures into the dark heart of the goings on at her place of employment, it begins to appear that this work of fiction is playing out in the real world—to deadly end. In THE STRANGER DIARIES, Griffiths masterfully blends Gothic influence with modern-day suspense sensibility, and the result is effortless, spine-tingling, page-turning fun. Masterfully blurring the lines between reality and fiction, Elly Griffiths has crafted an exceptional bookish mystery that is both an ode to Gothic literature and an effective work of Gothic suspense unto itself. Fans of Agatha Christie and Ruth Ware, listen up: today’s featured book is for you! I’m thrilled to welcome Lucy Foley to Crime by the Book today to discuss her brand-new suspense novel, THE HUNTING PARTY - available today, February 12th! This stylish, atmospheric suspense novel takes the concept of the “locked room mystery” and applies it to a luxurious hunting lodge in the Scottish highlands, where a group of friends find themselves snowed in during a blizzard. Part ode to classic crime in the style of Agatha Christie, part modern story of psychological suspense, THE HUNTING PARTY is seriously entertaining and appealing on so many levels. From its claustrophobic premise to its swoon-worthy locale and juicy interpersonal secrets, THE HUNTING PARTY is a fantastic choice for winter reading. 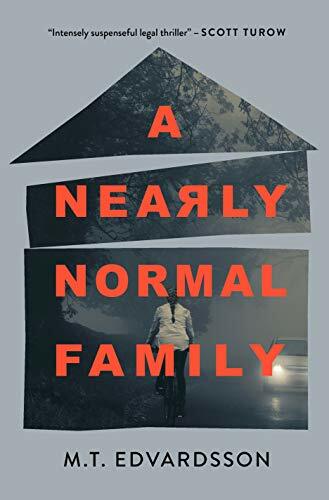 Fans of Ruth Ware - and readers who just plain love a fun, engaging suspense read - will find Lucy Foley’s newest release right up their alley.